As women across the world flooded the workplace, and fertility patterns shifted in response, researchers noticed persistent differences between countries. In some nations, as women entered the workforce, birth rates dipped dramatically and have yet to recover. In others, small dips in birth rates quickly stabilized. Some researchers think these differences reflect cultural priorities around personal development. Others argue that different gender expectations shape what people were willing to do: if women in one country couldn’t expect their husbands to chip in more with housework, for example, it made sense that they might have fewer children. In a recent issue of Social Forces, researchers proposed an additional explanation for the differences between nations. Using the World Values Survey, Arnstein Aassve, Francesco Billari, and Lea Pessin found that nations with higher levels of generalized trust showed smaller dips in fertility associated with increased education for women. Generalized trust refers to the attitude that, in general, people are trustworthy and good, and it may be important to fertility processes because many working women have to outsource childcare to people who are not family members. 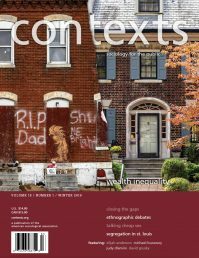 A willingness to do that may be shaped by their beliefs and assumptions about whether that’s a safe idea, and if women in a nation believe that they can’t trust their children with people they aren’t related to, their education levels and participation in paid work might have a bigger impact on the number of children they wish to have. This finding suggests that more state funding for child care (a popular and successful strategy for bolstering the birth rate in many nations) may not be equally successful in all places. States with lower levels of social trust may have to explore additional policies.